With the impact of several new musical genres including the Manchester guitar band scene, the headline-grabbing rave movement and europop, 1989 was a memorable year for music in the UK. But a dance tune created by a trio of producers from a small town in Italy dominated the charts. 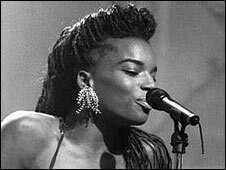 Ride On Time by Black Box, fronted by glamorous model Katherine Quinol, topped the UK chart for six weeks and became the biggest-selling single of 1989. But the powerful, rasping vocal was sampled from a singer called Loleatta Holloway, which Quinol mimed to. In the first part of a series about the music of 1989, DJ turned producer Daniele Davoli, now 45, recalls being rapidly thrust into the limelight 20 years ago and becoming a regular on Top of the Pops. I started in as a DJ doing remixes for a local studio in Reggio Emilia. One day I told the owner that I had an idea for making a house music record. The first one did okay and sold a few thousand copies. He said we should do a follow-up and suggested someone to help with the music called Mirko Limoni, who later became my partner in Black Box. We used to sell a few thousand copies of songs on small labels which paid the bills. The third or the fourth record was Ride On Time. We thought we had something with a bit more potential than the previous records, so we had to find a proper set-up. It was signed to Deconstruction straight away. The record was hot in Ibiza, but I didn't even know where that was. The record company said they wanted a girl to front Black Box, even though the vocals were sampled. It was normal in Italy at the time because most of the dance acts weren't real. You had one record and the next was under a different name. We thought it was a done deal and weren't aware of the troubles we would encounter. At the time, I thought singer Loleatta Holloway was dead. We met Katherine through a friend of ours. She could sing and performed covers in Italian clubs, but her voice was nowhere near the diva vocals we had on the record. We were naive. You could tell those vocals didn't come from a slim girl like her. 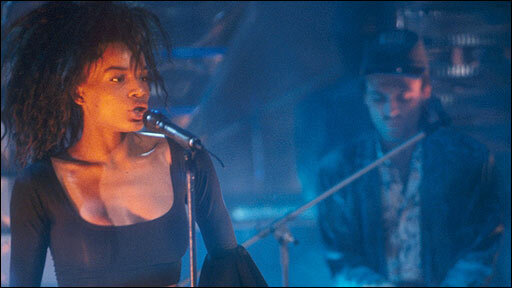 But she had a great influence on the public - she had the moves on stage and looked great and of the time. Ride On Time was just one of the records we had made. It was only later on that we realised how big it was. It came as a surprise to the record company as well - we didn't even have a video in the UK. It moved gradually up the charts and went head-to-head with Belgian dance act Technotronic who became our enemies - and we beat them. And in the dressing room the Eurythmics stepped in and said 'congratulations'. I couldn't believe it, as they were the sort of people we were looking up to at the time. I don't think it really kicked in until we released follow-up records and realised we couldn't reach number one again. That was a one-off and that was it. Ride On Time had an element of surprise which every song after it didn't have. For music fans, it was a unique record. Our style was the style of the moment. It was the right time. We were completely unaware that it was a sound that UK music fans would go for. We concentrated on the UK because we thought it was the centre of the world, and if we make it happen there, everyone will follow. It was surreal. I remember a lot of it, but I didn't enjoy any of it. I wish I could have made more of it. Five years later there was no soulful house, the world had moved on and we'd missed the bus. 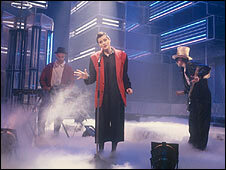 In 1990, Black Box released their album Dreamland, which spawned further UK hit singles and made an impact in the US. While vocals were performed by US singer Martha Wash, Quinol continued to be the act's public face. Both Wash and Ride On Time singer Loleatta Holloway took legal action. A second album was released in 1995 with US singer Charvoni at the helm. Davoli now divides his time between Italy and London and is involved in numerous musical projects and DJing. He has not ruled out producing new material for Black Box. According to her London booking agent, Catherine Quinol still performs to Black Box tracks at retro club nights in Italy.